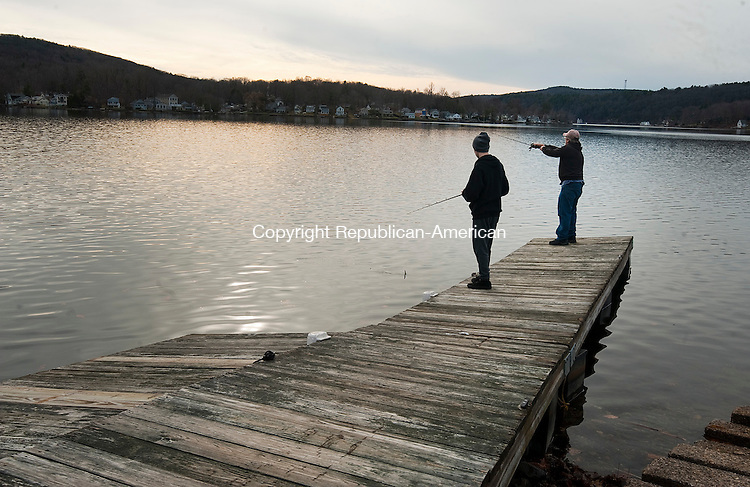 WINSTED, CT--- -122515JS03--Joey Takeman, 16, left, and Jay Takeman, take advantage of the unseasonably warm temperatures and get in some fishing at Highland Lake in Winsted on Friday. Temperatures were in the high 50's to low 60's on Christmas Day. Joey Takeman was named Connecticut Youth Male Angler of the Year Award by the state Department of Energy and Environmental Protection.